Very easy to fold and unfold. Light weight. I'm 5 tall and can easily maneuver the stroller anywhere. I absolutely love the look of this Stroller. It's sleek and simply beautiful. I find it super easy to fold up and even though it's seen as a "heavy" Stroller, I think it's very manageable. And the large basket of amazing! I wish it was easier to maneuver though. We received the stroller in the timely manner. Once opened, we love it!!! now we are awaiting for the arrival of our baby girl, and can't wait to try it with her. 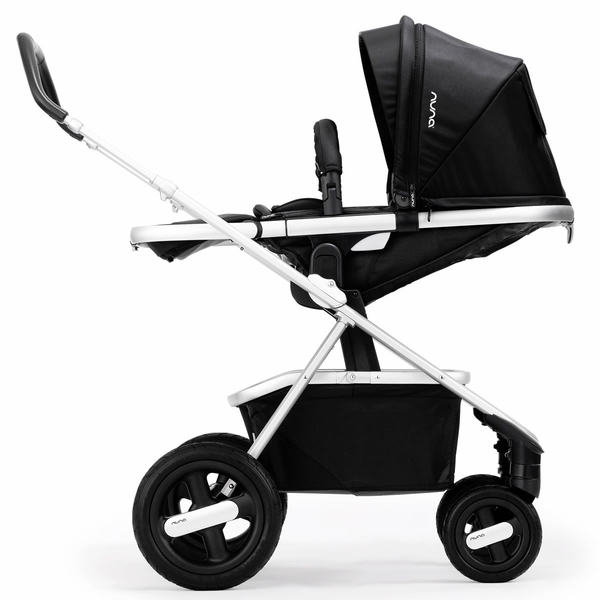 So far, we love the design, and the stability of the stroller. We upgraded from the Nuna Pepp stroller from the pepp and pippa travel system and while we absolutely LOVED that one we love all the features of the Ivvi! Baby looks so comfy and content, not to mention, we always get the "mom glances" while we stroll down the street or malls. The only thing I haven't figured out is how to fold it without removing the seat but I know it's possible because I saw it on youtube! He just does it too fast :P So far no regrets and our baby is 100% a Nuna Baby!! 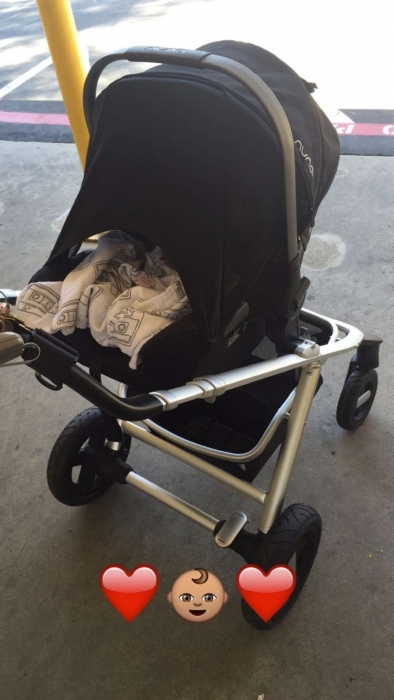 I have been using this stroller for about 4 months now and I like it very much. It looks very nice and the big wheels are able to stand up to anything we drive it through so far. 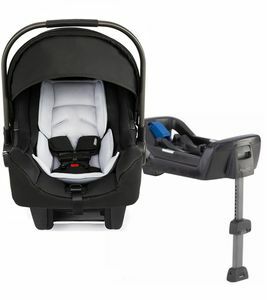 I have the Pipa carseat and the carrycot to go with it and both are very easy to attach. The basket is a good size. It does take up a lot of space in the trunk of our sedan and is kind of heavy to lift in and out but its weight is good for the all terrain use. We haven't used the seat too much yet since we have the bassinet, but the facing forward and facing you option is great. 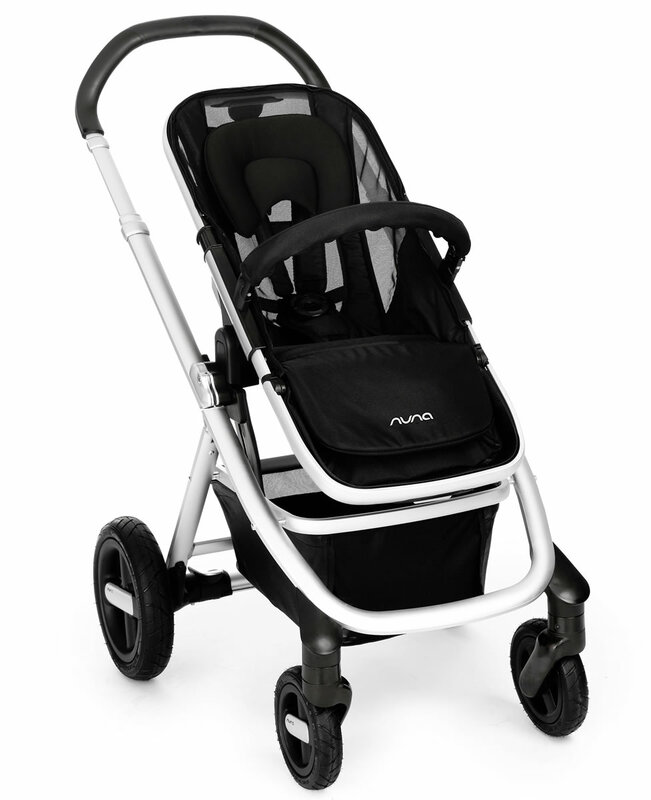 Nuna has excellent products. 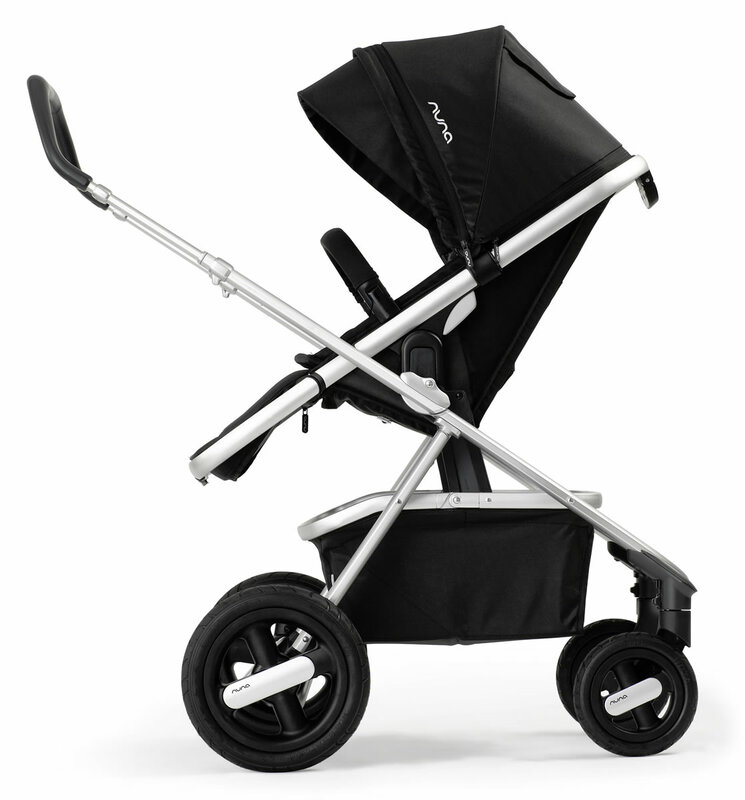 I was originally stuck between the Cybex, Nuna & Stokke travel systems. 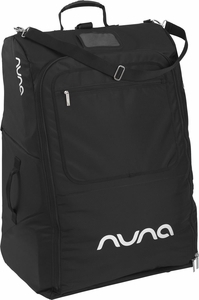 I decided to go with the Nuna as it had everything I was looking for; I feel as though it has more value. The bottom storage is large & I love that it is divided. The frame is strong & sturdy as is the fabric. 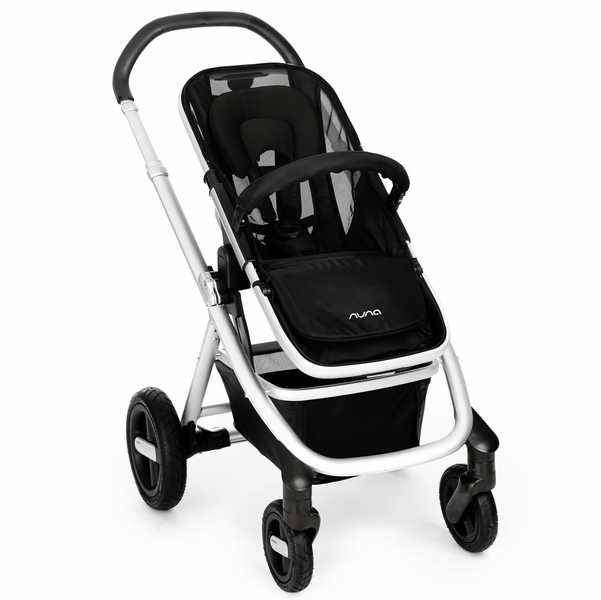 The large wheels make for a smooth ride along LA's bumpy sidewalks, and going up & down sidewalks & steps is a breeze. The Dream Drape gives the whole system a sleek & unique look while providing superb functionality. Blocks out sun amazingly & is well ventilated. The seat sits high, which has been great at restaurants, so my daughter sits at table height, which is very convenient. 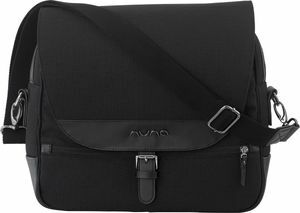 It folds down easily & fits in my trunk with plenty of room to spare (I drive a Lexus ES350). Might not fit in smaller trunks. 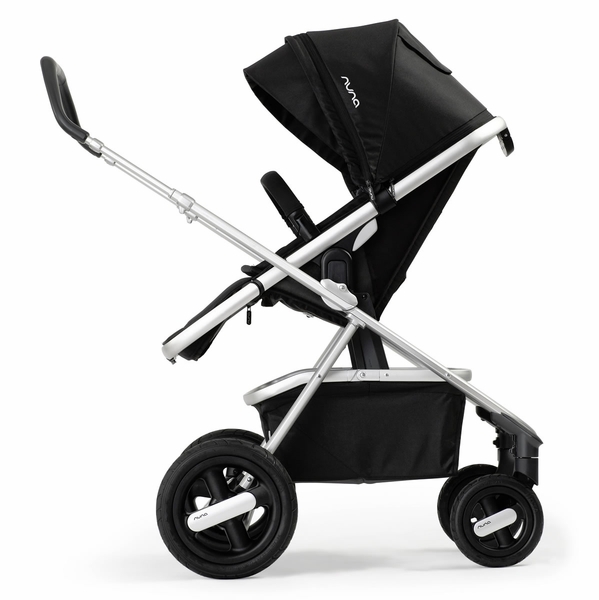 The large wheels place the stroller on the heavier side & makes it wider than others. 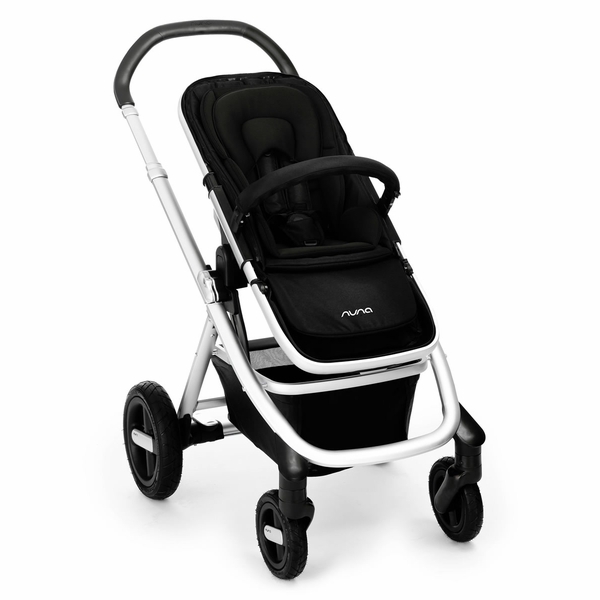 I haven't had issues maneuvering it, but in smaller spaces (like cramped boutiques) I can imagine there could be some difficulty.Overall, it is a great, sturdy stroller with a fabulous look. 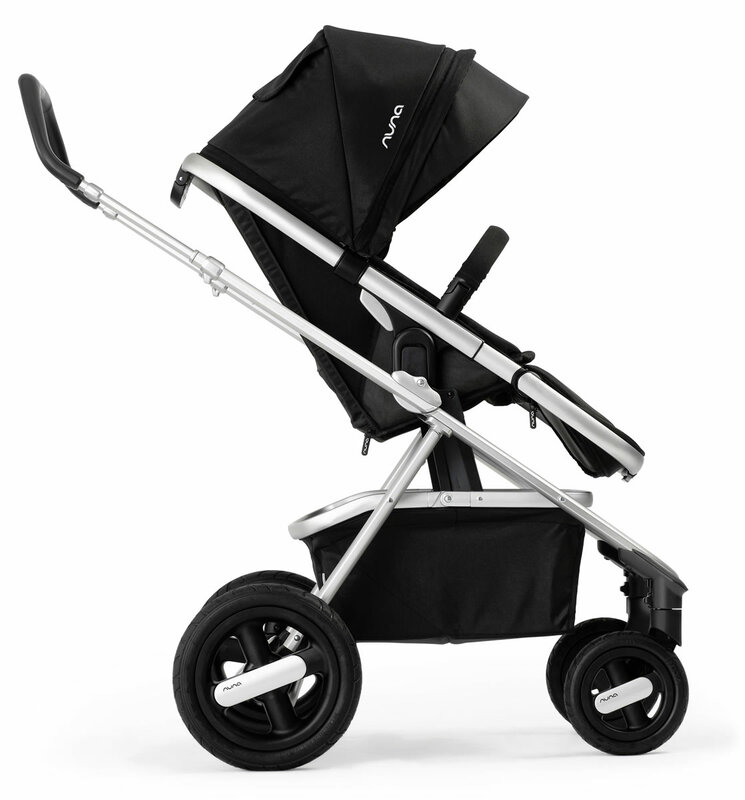 I look forward to short & long trips with baby because of this stroller. 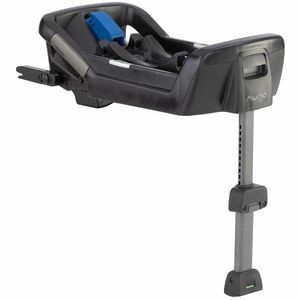 looks great easy to steer, I also purchased the carrier and cot and they easily snap into place and convert. material is soft and strong. Lightweight and easy to navigate. I love that you can turn the seat forward facing or rear. The reclining position is nice too. I did a lot of research before purchasing a stroller. I love everything about this brand! The quality is so good, it's veryeasy to close and open. We live close to a park so I really needed tires that are durable and able to stand up to all terrain and weather conditions. Again this stroller met my standards. 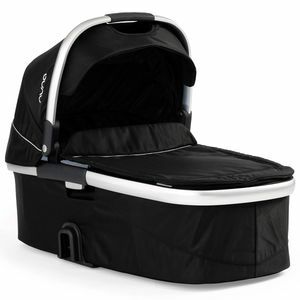 the carry basket underneath has a ton of space, enough room for diaper bag plus more. Love the idea of being able to use right away from newborn through toddler. Only stroller we need! Even though this stroller is pricey it is worth it. ConsAs of now it doesn't have a cup holder but I reached out to Nuna and they are coming out with one specifically for their strollers this summer! They’ll be running around before you know it. 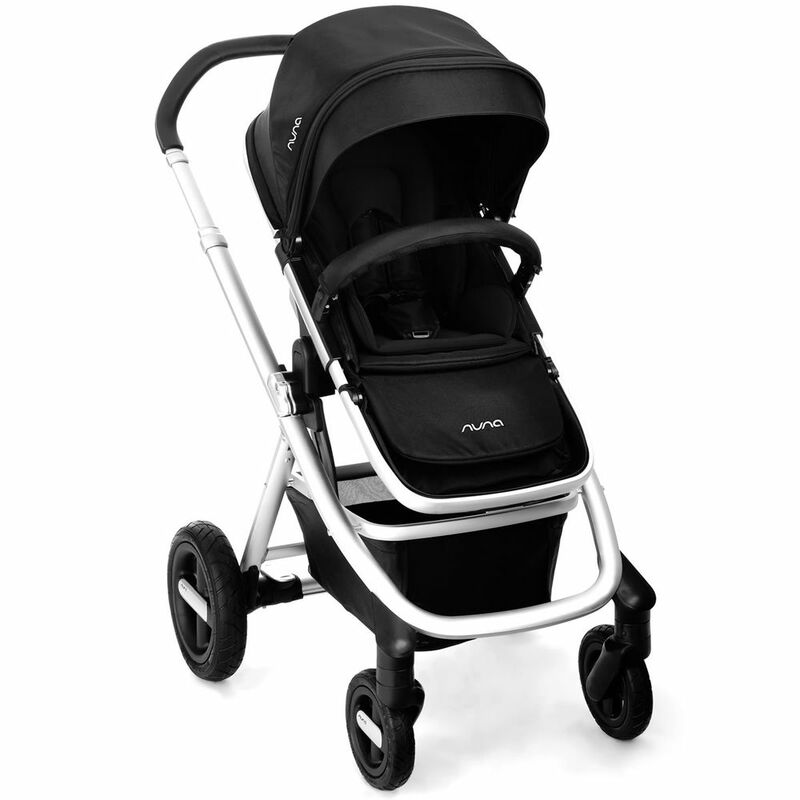 That’s why Nuna created the IVVI – the multimode stroller from the day they arrive until they don’t want to be pushed around anymore. Flaunting an oh-so-clever all weather seat that smartly switches with the seasons (with just a zip!) 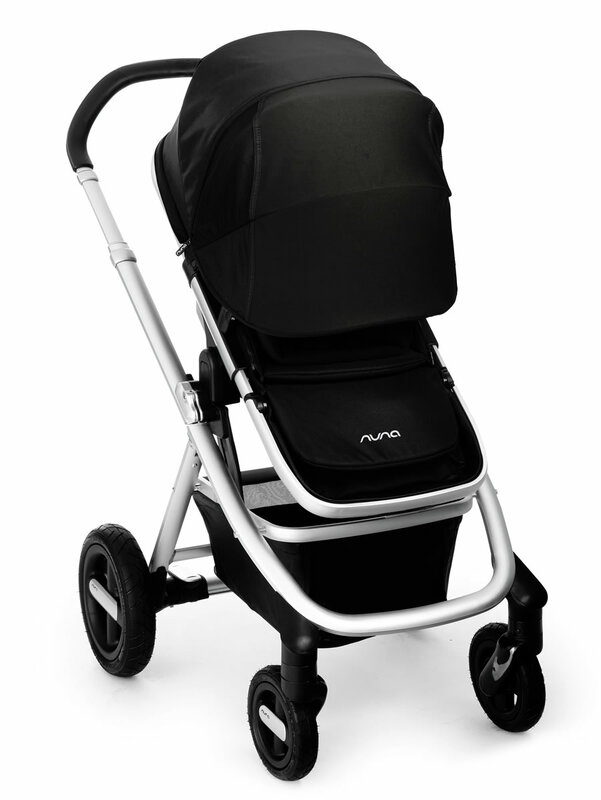 and a sleek and snooze friendly dream drape™ (on-the-go naptime is not just for newborns anymore) Nuna's hybrid system handles carry cot, car seat and curious toddlers with equal parts innovation and fashion-forward design. Now little riders and grown-up drivers can explore in style. Integrated all weather seat cleverly switches with the seasons…with just a zip! 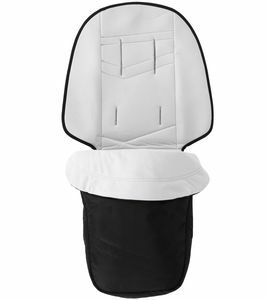 Rain cover and infant car seat adapters (fit the Nuna PIPA™ infant car seat) are included with purchase. The included adapters require you to line up your PIPA to the two contact points.